InicioIELTSAn IELTS listening sample with exercises and examples. You will now have 4 listening exercises: 4 videos each followed by 1 quiz ielts listening sample. You will hear a number of different recordings and you will have to answer questions on what you hear. There will be time for you to read the instructions and questions and you will have a chance to check your work. All the recordings will be played once only. The test is in four sections. At the end of the test you will be given ten minutes to transfer your answers to an answer sheet. Now turn to section 1. You will hear a telephone conversation between a travel company employee and a customer. First you have some time to look at questions. You will see that there is an example which has been done for you. On this occasion only the conversation relating to this will be played first. Hi, good morning. This is Talia from Piratebay travel agency. Is Robert Goddard there? The man says that he is Robert Goddard so Robert Goddard has been written in the space. You should answer the questions as you listen, because you will not hear the recording a second time. Listen carefully and answer questions 1 to 5. I’m so sorry that I made such an early phone call and I’m calling to ask a few questions about your most recent vacation. Could I have five minutes of your time? Great, thanks. Now I see here that you visited Melbourne. Was this your first visit to Melbourne? No. I have actually been there twice before. I see. Now what would you say was your favorite part about Melbourne? Well I did like seeing the exotic wildlife and there are great sights to see but I have to say I was most impressed by the amazing weather. Yeah the weather is amazing. Which of the site’s listed as part of our official tour did you see and of those which was your favorite? First I saw the theatre which was beautifully designed. It was not nearly as cold as the Town Hall though. The building is a huge part of Melbourne’s history. Definitely my favourite. I saw the aquarium too but wasn’t too impressed. I see. Yes, people often have great reviews of Town Hall. Now I would like to ask you about your dining experience. Did you enjoy the food there? I’m glad to hear it. Could you tell me a little bit about what you most enjoyed about the food? Being in such an international city I love the variety I could find any type of food I wanted. Whether I wanted seafood, burgers or anything else. You name it and they had it. Did you drive to Melbourne? No, I flew. I thought about going by train but in the interest of time I decided to go by plane. Before you hear the rest of the conversation you have some time to look at questions 6 to 10. You now listen and answer questions 6 to 10. And would you mind telling me whether you are under 20, between the ages of 20 and 40 or older than 40? It would be nice if I was still under 20. My vacation probably would have been quite different. Actually though, I just turned 41 last week. Oh, happy birthday. So did you treat yourself with a flight in the first class? No way. I would love to have a budget that high. I’m more in the mid-range income level. I wasn’t always though. I spent much of my life in an low-income household. I see. That answers my next question then, of income level. And what was the purpose of this visit? I had to go there on business a lot before and decided I would go there for tourism this time. I see. And what is your occupation? I am mainly a computer programmer. I also write for a Travel Magazine on the side which is why I visited Melbourne before, but it’s not my main source of income. I see. Wow, it sounds like you work a lot. Yes, I am very busy, which is exactly why I took a nice week-long vacation to Melbourne. I completely agree. Would you care to comment on your accommodation? My hotel was a good value. Staying in the city can get really expensive so it was nice to find such a good price for the location and quality. I’m glad I didn’t end up in some cheap motel in the middle of nowhere. I’m glad you didn’t either. Well thank you for taking part in our survey and I’m glad you enjoyed your vacation. You now turn to section two. Escuchará varias grabaciones diferentes y tendrá que responder preguntas sobre lo que escucha. Habrá tiempo para que lea las instrucciones y preguntas y tendrá la oportunidad de verificar su trabajo. Todas las grabaciones se reproducirán una sola vez. La prueba está en cuatro secciones. Al final de la prueba, le darán 10 minutos para transferir sus respuestas a una hoja de respuestas. Escuchará una conversación telefónica entre un empleado de una compañía de viajes y un cliente. Primero tiene tiempo para ver las preguntas. Hola buenos días. Soy Talia de la agencia de viajes Piratebay. ¿Está Robert Goddard allí? El hombre dice que él es Robert Goddard, por lo que Robert Goddard ha sido escrito en el espacio. Debe responder las preguntas mientras escucha porque no escuchará la grabación por segunda vez. Escuche atentamente y responda las preguntas 1 a 5. Lamento tanto haber llamado tan temprano y le llamo para hacerle algunas preguntas sobre sus vacaciones más recientes. ¿Podría tener cinco minutos de su tiempo? Muy bien, gracias. Ahora veo que visitó Melbourne. ¿Fue esta su primera visita a Melbourne? No. De hecho, he estado allí dos veces antes. Entiendo. ¿Cuál diría que fue su parte favorita de Melbourne? Bueno, me gustó ver la vida silvestre exótica y hay grandes lugares para ver, pero tengo que decir que me impresionó mucho el clima increíble. Sí, el clima es increíble. ¿Cuál de los sitios incluidos en la lista como parte de nuestro recorrido oficial vio y de ellos cuál fue su favorito? Primero vi el teatro que estaba bellamente diseñado. Sin embargo, no era tan frío como el Ayuntamiento. El edificio es una gran parte de la historia de Melbourne. Definitivamente mi favorito. Vi el acuario también pero no me impresionó mucho. Entiendo. Sí, la gente a menudo tiene excelentes críticas del Ayuntamiento. Ahora me gustaría preguntarle sobre su experiencia gastronómica. ¿Disfrutó la comida allí? Me alegro de oír eso. ¿Podría decirme un poco sobre lo que más le gustó de la comida? Al estar en una ciudad tan internacional, amo la variedad, pude encontrar cualquier tipo de comida que quisiera. Si quería mariscos, hamburguesas o cualquier otra cosa. Usted lo nombra y lo tenían. No, yo volé. Pensé en ir en tren, pero por el tiempo decidí ir en avión. Antes de escuchar el resto de la conversación, tiene tiempo para ver las preguntas 6 a 10. Ahora escuche y conteste las preguntas 6 a 10. ¿Y le importaría decirme si tiene menos de 20 años, entre 20 y 40 o más de 40? Sería bueno si todavía tuviera menos de 20 años. Mis vacaciones probablemente habrían sido bastante diferentes. Sin embargo, acabo de cumplir 41 la semana pasada. Feliz cumpleaños. Entonces, ¿se hizo un regalo a si mismo con un vuelo en primera clase? Bajo ningún pretexto. Me encantaría tener un presupuesto tan alto. Estoy más en el nivel de ingresos de rango medio. Aunque no siempre fui así. Pasé gran parte de mi vida en una casa de bajos ingresos. Entiendo. Eso responde mi siguiente pregunta, del nivel de ingresos. ¿Y cuál era el propósito de esta visita? Tuve que ir mucho por negocios antes y decidí ir al turismo esta vez. Entiendo. ¿A qué se dedica? Soy principalmente programadora de ordenadores. También escribo para Travel Magazine, por lo que visité Melbourne antes, pero no es mi principal fuente de ingresos. Entiendo. Wow, parece que trabaja mucho. Sí, estoy muy ocupado, que es exactamente por eso que tomé unas agradables vacaciones de una semana en Melbourne. Estoy completamente de acuerdo. ¿Le importaría comentarme sobre su alojamiento? Mi hotel tenía una buena relación calidad-precio. Alojarse en la ciudad puede ser realmente caro, así que fue agradable encontrar un buen precio por la ubicación y la calidad. Me alegro de no haber terminado en un motel barato en el medio de la nada. Me alegra que no lo hiciera. Bien, gracias por participar en nuestra encuesta y me alegro de que haya disfrutado de sus vacaciones. Ahora pase a la sección dos. You will hear a talk about the main points of interest and the improvements made in the area. You now listen carefully and answer questions 11 to 15. Thank you all for coming to our community meeting. As you know we’re excited to unveil our improvement plan as we look forward to the influx of tourists in the summer months. I’ll start with the quick overview of the main points of interest in the area for anyone who may not quite know his or her way around yet and then I’ll get to the improvements made. First off is my favorite, the Science Museum which is on the corner of st. George Road. If you have not visited yet, I encourage you to go before the busy season. It is absolutely spectacular. There is even a flight simulator you can try out. Just west of the Science Museum is the National History Museum. It’s a sight not to be missed as well with each floor devoted to a different era in our nation’s history. There are special exhibits for children with interactive games and fun history lessons too. If you’re looking for parking it is available on the intersection of Queen Street and South King Street in the car park. Standard hourly and daily rates do apply. The best place for souvenirs is the shopping mall. Though it gets extremely busy during peak times. You can get there from the tube or the entrance on timber Road just south of Cornwell Road. This area has students everywhere, usually from the primary school across the street from the shopping mall. Classes often take field trips and engage in guided tours through the area. So that’s the overview of the main sites and hopefully by now I’ve given you a general idea of the area. Before you hear the rest of the talk you have some time to look at questions 16 to 20. Now I’m going to outline the improvements we have made in our efforts to make the experience even better for each and every one of our visitors. You probably noticed when you first drove into the car park this morning that there is now additional signage to help avoid confusion. The directions were not entirely clear at first, so we have increased the number of one-way signs indicating the correct direction of traffic flow. Not far from there in line with our mission of giving back to the community, we constructed a brand new playground for the primary school. It is really something to be excited for. The equipment is state-of-the-art and includes swings, a small climbing wall, and even an obstacle course. Now we’ll head north and take a look at the Science Museum. In response to our feedback from past visitors to the museum, there is now free information available outlining not only upcoming IMAX showings, but also natural wonders like meteor showers, eclipses, and other cool natural events. The science museum isn’t the only museum improving the experience of its visitors. The National History Museum has added an entire new wing to its facility to accommodate the large crowds of people gathering to see the Civil War exhibit, inventions timeline exhibit, and other wonderful sections of the museum. The increase in space will definitely give a more calm, comfortable experience for visitors. And finally, remember when there was actually a line at the mall entrance from the tube station? It was terrible trying to get anywhere from the tube, because foot traffic got so backed up sometimes. We have addressed that by adding another entry point into the mall from the other end of the platform to disperse the crowd. So those are the major improvements we have made. Clearly having too many people that want to visit and enjoy what our community has to offer the public, is a good problem to have and I am confident that we have made the changes necessary to accommodate the growing interest in the area. As always we welcome any questions, comments or concerns about the new improvement plan. In a few minutes I will open up the floor for questions but you can also contact me or any other board member by email or through the city website. Thank you for coming. And I now encourage you to stay for the questions and answers panel occurring between now and 10:30. That is the end of section 2. You now turn to section three. Escuchará una charla sobre los principales puntos de interés y las mejoras realizadas en el área. Primero tiene tiempo para ver las preguntas 11 a 15. Ahora escuche atentamente y responda las preguntas 11 a 15. Gracias a todos por venir a nuestra reunión comunitaria. Como saben, estamos entusiasmados por dar a conocer nuestro plan de mejora a medida que esperamos la afluencia de turistas en los meses de verano. Comenzaré con una descripción general rápida de los principales puntos de interés en el área para cualquier persona que aún no sepa cómo moverse y luego verémos las mejoras realizadas. Primero mi favorito, el Museo de la Ciencia, que se encuentra en la esquina de st. George Road. Si aún no lo ha visitado, lo invito a ir antes de la temporada alta. Es absolutamente espectacular. Incluso hay un simulador de vuelo que puedes probar. Justo al oeste del Museo de Ciencias se encuentra el Museo Nacional de Historia. Es un espectáculo que no debe perderse también con cada piso dedicado a una época diferente en la historia de nuestra nación. También hay exhibiciones especiales para niños con juegos interactivos y lecciones divertidas de historia. Si está buscando estacionamiento, está disponible en la intersección de Queen Street y South King Street en el parking. Se aplican las tarifas estándar por hora y por día. El mejor lugar para comprar souvenirs es el centro comercial. Aunque se vuelve extremadamente lleno durante las horas puntas. Puede llegar desde el metro o la entrada en Timber Road al sur de Cornwell Road. Esta área tiene estudiantes en todas partes, generalmente de la escuela primaria al otro lado de la calle del centro comercial. Las clases suelen realizar excursiones y participar en visitas guiadas por la zona. Esa es la descripción general de los sitios principales y espero que ahora les haya dado una idea general del área. Antes de escuchar el resto de la charla, tiene tiempo para ver las preguntas 16 a 20. Ahora voy a describir las mejoras que hemos realizado en nuestros esfuerzos por mejorar la experiencia de todos y cada uno de nuestros visitantes. Probablemente habrás notado la primera vez que condujiste al estacionamiento esta mañana que ahora hay señalización adicional para evitar confusiones. Al principio, las instrucciones no estaban del todo claras, por lo que hemos aumentado el número de señales de dirección única que indican la dirección correcta del flujo de tráfico. No muy lejos de allí en línea con nuestra misión de retribuir a la comunidad, construimos un nuevo parque infantil para la escuela primaria. Es realmente algo para emocionarse. El equipo es moderno e incluye columpios, un pequeño muro de escalada e incluso una pista de obstáculos. Ahora nos dirigiremos al norte y veremos el Museo de Ciencias. En respuesta a nuestros comentarios de visitantes anteriores al museo, ahora hay información gratuita disponible que describe no solo las próximas presentaciones de IMAX, sino también maravillas naturales como lluvias de meteoros, eclipses y otros eventos naturales interesantes. El museo de ciencias no es el único museo que mejora la experiencia de sus visitantes. El Museo Nacional de Historia ha agregado una nueva ala a sus instalaciones para dar cabida a las grandes multitudes de personas que se reúnen para ver la exhibición de la Guerra Civil, la exhibición de la línea de tiempo de las invenciones y otras maravillosas secciones del museo. El aumento en el espacio definitivamente dará una experiencia más tranquila y cómoda para los visitantes. Y, finalmente, ¿recuerda cuándo había una línea en la entrada al centro comercial desde la estación de metro? Fue terrible tratar de llegar a cualquier parte del metro, porque a veces el tráfico de peatones se amontonaba. Hemos abordado eso al agregar otro punto de entrada al centro comercial desde el otro extremo de la plataforma para dispersar a la multitud. Estas son las principales mejoras que hemos realizado. Claramente, tener demasiadas personas que quieran visitar y disfrutar lo que nuestra comunidad tiene para ofrecer al público es un buen problema y estoy seguro de que hemos hecho los cambios necesarios para acomodar el creciente interés en el área. Como siempre, recibimos cualquier pregunta, comentario o inquietud sobre el nuevo plan de mejora. En unos pocos minutos abriré el turno de preguntas, pero también me puede contactar a mí o a cualquier otro miembro de la junta por correo electrónico o a través del sitio web de la ciudad. Gracias por venir. Y ahora los animo a que se queden para el panel de preguntas y respuestas que se realiza entre ahora y las 10:30. Ese es el final de la sección 2. Ahora pase a la sección tres. You will hear two students called Jane and Mark talking to their tutor about the project assignments for their senior thesis. First you have some time to look at questions 21 to 23. You now listen carefully and answer questions 21 to 23. So you were both given your project assignments for your senior thesis today, right? Yes and we already have to submit our topics next week. But how could they give us a grade this soon? No, next week’s due date will not be counted towards your final grade. The teachers are just going to read your topic and give you feedback. Oh I see. So first we should come up with our topics and then what? Well once you know what you want to study, you need to think about how you’ll study it. We need to decide on your research methods. The methods will be the main part of your paper. What about the results section? Well I can give you feedback on that, but you will be the one carrying out an experiment and thus will have to produce the results on your own. What I would like to do today is practice writing research papers before you even begin your report. I’ll give you samples of old data from past experience and you can practice writing results and drawing conclusions. I think that would be really helpful. Yeah it sounds like a lot of extra work, but I’m sure it would make a actual project easier. You’re exactly right. So let’s get started. First let’s try this simple experiment on fruit flies. Read the information and then take 25 minutes to summarize a results and conclusion section. That’s really important. Pay attention to the time limit. Okay, does it still have to be six thousand words? No, don’t worry about that. What if we get off topic? I wouldn’t worry too much. You’ll have so much information to write about that it should be easy to stay on topic. Before you hear the rest of the talk you have some time to look at questions 24 to 30. You now listen carefully and answer questions 24 to 30. But what about other sources? Well for this assignment you can use the one from your textbook. In your actual paper you should find old experiments that support your topic. So do we need to find different types of sources? For instance, should I be conducting lots of interviews to use in my paper? No, there’s no need to conduct lots of interviews or anything like that. Ok I’m ready to get started. I’m still a little confused though on how we should format our paper. Don’t worry about it for now, but on your final paper make sure to pay attention to the format. It should follow the guidelines exactly. Oh man, I’m starting to understand why they give us all semester to do this. Are there any other small details like that that we should know about? Not a whole lot. Make sure you provide two copies. One for your teacher of course, but one for yourself as well. And of course you know the due date, right? It’s April the 11th, right? What? No. It’s May 11th, right? Yes. The due date is May. Oh wow, yeah I need to note it well. So I’m having trouble finding information on my topic. What if I can’t find enough good sources? It’s alright to change your topic. Just make sure to do it before the beginning of April. Oh really? Wow. I’m definitely going to change it then. Just make sure to write a note to your teacher letting him or her know. Okay so getting back to writing this sample paper, where do we start? Should I just explain the experiment and what happened? Well you need to start with your hypothesis, what do you think will happen and then describe your procedure. Then you can write up the results and your conclusions. Oh boy, I don’t know if I can handle any more instructions. That is the end of section 3. You now turn to section four. You will hear part of a lecture about factors you should consider when creating advertising materials and the effects they can have on your product sales. First you have some time to look at questions 31 to 40. You now listen carefully and answer questions 31 to 40. Hello class and welcome back to marketing strategies. This week I will expand upon last week’s lecture by talking about factors you should consider when creating advertising materials and the effects they can have on your product sales. Limit your advertising to the geographic area of your target market. Though you may have a product that people want in a large area, the distance that customers are willing to travel is a significant factor in their choice of where to purchase that product. Take this example, if you’re really hungry and decide you want a burrito. Would you choose the restaurant that is a block from your apartment or the one that is just as good or even slightly better across town? Of course you’d pick the closer restaurant. Next, there’s the method of communication to your target market. How do you decide among radio ads, TV commercials fliers, or even word-of-mouth? While we often think of the visual presentation of ads, there’s much more to advertising than the look. Studies show that consumers are much more likely to remember advertising slogans if there’s also a sound plate. Did you know that your sense of smell is closely linked with memory? Think about Mandy’s candy store up the road. Every time you walk past it you can just smell the chocolate, right? I bet you can almost smell it now. Just mentioning the name brings about the smell memory and in turn a chocolate craving. What better way to sell chocolate bars? Obviously sometimes appealing to the senses isn’t the most practical way to advertise. For example, it’s a good idea to come up with a marketing strategy that adapts to the product, especially at digital products. The flexibility of this kind of products is extremely important so it’s very common for advertisers to form one single layout for all of their ads, the visual, the medium, even the majority of the content, and simply update the ad each time they come out with a new version. Remember, advertising is all about stirring up the right feeling in your potential customers whether by stimulating the senses appealing to the intellect and so on. Once the customer experiences the ad, the important thing is his or her reaction. Someone could love you unless he or she considers buying the product you fail to get the reaction you were looking for. So once you have successfully reached your target, customer and you have his or her business often you’ll want to expand to a larger market. More often than not the same marketing strategies, you used in your small campaign may not work for a larger audience. The larger you scale your product, the more factors you must consider. For instance, Apple operates worldwide so they must tailor their advertising for each market they enter. Often you’ll see Apple ads on international flights that appear not only in English, which is the lingua franca of most regions but also in the native languages of the majority of passengers. I traveled to Russia last week and it was really interesting to see the same Nike ad I’ve seen a hundred times except this time it was in Russian. Okay, going back to the medium of the advertisement. Even after choosing to create print ads instead of radio announcements, television commercials etc, there is more to consider.If you print your ad in a newspaper it will be read by a far different audience than if you print your ad in a popular magazine. Would you put an ad for the new Justin Bieber album in a newspaper? Probably not. Because that product is most suitable for youths. Let’s face it. Do you know anyone under the age of 25 that buys a newspaper? No. Now let’s try a few strategy exercises. Imagine you’re a company that is aiming to improve the environment by making products that reduce human waste. How would you advertise your product? Clearly it would send the wrong message if you put up flyers or other materials that cause lots of waste paper. Consider instead putting commercials on the health Channel or buying ad space on websites like UNESCO. Or here’s another example. What is one great place to advertise suntan lotion? How about a swimming pool? It has the exact group of people that need the product. Alright, one last thing. Let’s say you’re filming a commercial for a water filter picture. What would be good scenery to use for the background? Think about somewhere calm and relaxing with clean fresh water. Can’t you see how much more effective a commercial with the beautiful scenery and flowing rivers of a national park would be than say water dripping from a tap? So to wrap things up today. Think about the geography of your target market, the type of marketing material you should use, and the most effective way to appeal to the customer in order to make a successful ad campaign. That is all I have for you today. Make sure to read through Chapter eight for Monday if you have not done so already. Okay, now I’d be happy to answer any questions you may have. That is the end of section four. In the IELTS test you will now have 10 minutes to transfer your answers to an answer sheet. Escuchará a dos estudiantes llamados Jane y Mark hablando con su tutor acerca de las asignaciones del proyecto para su tesis de grado. Primero, tiene tiempo para ver las preguntas 21 a 23. Ahora escuche atentamente y responda las preguntas 21 a 23. Entonces, los dos recibieron las asignaciones de su proyecto para su tesis de último año, ¿verdad? Sí, y ya tenemos que enviar nuestros temas la próxima semana. Pero, ¿cómo podrían darnos una calificación tan pronto? No, la fecha de vencimiento de la próxima semana no contará para su calificación final. Los profesores solo leerán tu tema y te darán comentarios. Ah, ya veo. Entonces, primero deberíamos pensar en nuestros temas y luego ¿qué? Bueno, una vez que sabes lo que quieres estudiar, debes pensar cómo lo vas a estudiar. Necesitamos decidir sobre sus métodos de investigación. Los métodos serán la parte principal de su trabajo. ¿Qué hay de la sección de resultados? Bueno, puedo darle una opinión sobre eso, pero usted será el que realice un experimento y, por lo tanto, tendrá que producir los resultados por su cuenta. Lo que me gustaría hacer hoy es practicar la redacción de documentos de investigación antes de comenzar su informe. Le daré muestras de datos antiguos de experiencias pasadas y podrá practicar la redacción de resultados y la obtención de conclusiones. Creo que sería realmente útil. Sí, parece mucho trabajo extra, pero estoy seguro de que facilitaría un proyecto real. Y tiene toda la razón. Entonces, empecemos. Primero intentemos este simple experimento con moscas de la fruta. Lea la información y luego tómese 25 minutos para resumir una sección de resultados y conclusiones. Esto es muy importante. Preste atención al límite de tiempo. De acuerdo, ¿todavía tiene que ser seis mil palabras? No, no se preocupe por eso. ¿Qué pasa si nos salimos del tema? Francamente, no me preocuparía demasiado. Tendrá tanta información para escribir que debería ser fácil mantenerse en el tema. Antes de escuchar el resto de la charla, tiene tiempo para ver las preguntas 24 a 30. Ahora escucha y contesta las preguntas 24 a 30. Bueno para esta tarea puede usar la de tu libro de texto. En su documento actual debería encontrar experimentos antiguos que respalden su tema. Entonces, ¿necesitamos encontrar diferentes tipos de fuentes? Por ejemplo, ¿debería realizar muchas entrevistas para usar en mi trabajo? No, no hay necesidad de realizar muchas entrevistas ni nada de eso. Ok, estoy listo para comenzar. Todavía estoy un poco confundido sobre cómo debemos formatear nuestro documento. No se preocupe por el momento, pero en el trabajo final asegúrese de prestar atención al formato. Debe seguir las pautas exactamente. Oh hombre, estoy empezando a entender por qué nos dan todo el semestre para hacer esto. ¿Hay algún otro detalle pequeño como ese que debamos conocer? No un montón. Asegúrese de proporcionar dos copias. Una para su profesor, por supuesto, pero también una para usted. Y, por supuesto, sabe la fecha de vencimiento, ¿verdad? Es el 11 de abril, ¿verdad? ¿Qué? No. Es el 11 de mayo, ¿cierto? Sí. La fecha de vencimiento es mayo. Oh wow, sí, necesito tenerlo en cuenta. Así que estoy teniendo problemas para encontrar información sobre mi tema. ¿Qué pasa si no puedo encontrar suficientes buenas fuentes? Está bien cambiar tu tema. Solo asegúrese de hacerlo antes de principios de abril. Oh, ¿en serio? Guau. Definitivamente voy a cambiarlo entonces. Solo asegúrese de escribirle una nota a su maestro haciéndole saber. De acuerdo, volviendo a escribir este documento de muestra, ¿dónde comenzamos? ¿Debo explicar el experimento y lo que sucedió? Bueno, necesita comenzar con su hipótesis, ¿qué cree que sucederá y luego describir su procedimiento? Entonces puede escribir los resultados y conclusiones. Oh, no sé si puedo manejar más instrucciones. Ese es el final de la sección 3. Escuchará una parte de una conferencia sobre los factores que debe considerar al crear materiales publicitarios y los efectos que pueden tener en las ventas de sus productos. Primero tiene tiempo para mirar las preguntas 31 a 40. Hola clase y bienvenidos a las estrategias de marketing. Esta semana ampliaré la conferencia de la semana pasada al hablar sobre los factores que debe considerar al crear materiales publicitarios y los efectos que pueden tener en las ventas de sus productos. Limite su publicidad al área geográfica de su mercado objetivo. Aunque puede tener un producto que la gente quiera en un área grande, la distancia que los clientes están dispuestos a viajar es un factor importante en su elección de dónde comprar ese producto. Toma este ejemplo, si estás realmente hambriento y decides que quieres un burrito. ¿Elegirías el restaurante que está a una manzana de tu apartamento o el mejor o incluso un poco mejor en toda la ciudad? Por supuesto, elegirías el restaurante más cercano. Luego, está el método de comunicación para su mercado objetivo. ¿Cómo se decide entre anuncios de radio, comerciales de televisión o incluso de boca en boca? Si bien a menudo pensamos en la presentación visual de los anuncios, la publicidad tiene mucho más que el aspecto. Los estudios demuestran que es mucho más probable que los consumidores recuerden lemas publicitarios si también hay una base de sonido. ¿Sabía que su sentido del olfato está estrechamente relacionado con la memoria? Piensa en la tienda de dulces de Mandy en la carretera. Cada vez que pasas, puedes oler el chocolate, ¿verdad? Apuesto a que casi puedes olerlo ahora. Solo mencionar el nombre provoca la memoria del olfato y, a su vez, un ansia de chocolate. ¿Qué mejor manera de vender barras de chocolate? Obviamente, apelar a los sentidos no es la forma más práctica de publicitar. Por ejemplo, es una buena idea crear una estrategia de marketing que se adapte al producto, especialmente en productos digitales. La flexibilidad de este tipo de productos es extremadamente importante, por lo que es muy común que los anunciantes formen un único diseño para todos sus anuncios, el visual, el medio e incluso la mayoría del contenido, y simplemente actualicen el anuncio cada vez que salgan con una nueva versión. Recuerde, la publicidad se trata de despertar la sensación correcta en sus clientes potenciales, ya sea estimulando los sentidos que atraen al intelecto, etc. Una vez que el cliente experimenta el anuncio, lo importante es su reacción. Alguien podría amarte a menos que él o ella considere comprar el producto que no logras obtener la reacción que estabas buscando. Por lo tanto, una vez que haya alcanzado exitosamente su público objetivo, y usted tenga su negocio, a menudo querrá expandirse a un mercado más grande. En la mayoría de los casos, las mismas estrategias de mercadotecnia que usted utilizó en su pequeña campaña pueden no funcionar para un público más amplio. Cuanto más grande sea su producto, más factores debe tener en cuenta. Por ejemplo, Apple opera en todo el mundo, por lo que debe adaptar su publicidad para cada mercado en el que ingrese. A menudo verá anuncios de Apple en vuelos internacionales que aparecen no solo en inglés, que es la lengua franca de la mayoría de las regiones, sino también en los idiomas nativos de la mayoría de los pasajeros. Viajé a Rusia la semana pasada y fue muy interesante ver el mismo anuncio de Nike que he visto cientos de veces, excepto que esta vez estaba en ruso. De acuerdo, volviendo al medio de la publicidad. Incluso después de elegir crear avisos impresos en lugar de anuncios de radio, comerciales de televisión, etc., hay más que considerar. Si imprime su anuncio en un periódico, lo leerá una audiencia muy diferente a la que tiene si imprime su anuncio en una revista popular. ¿Pondrías un anuncio para el nuevo álbum de Justin Bieber en un periódico? Probablemente no. Porque ese producto es el más adecuado para jóvenes. Aceptémoslo. ¿Conoces a alguien menor de 25 años que compre un periódico? No. Ahora probemos algunos ejercicios de estrategia. Imagine que es una empresa que busca mejorar el medio ambiente fabricando productos que reducen los desechos humanos. ¿Cómo publicitarías tu producto? Claramente, enviaría el mensaje equivocado si coloca folletos u otros materiales que causan una gran cantidad de papel usado. Considere colocar comerciales en el canal de salud o comprar espacio publicitario en sitios web como la UNESCO. Aquí hay otro ejemplo. ¿Cuál es un gran lugar para anunciar bronceador? ¿Qué tal una piscina? Tiene el grupo exacto de personas que necesitan el producto. Bien, una última cosa. Digamos que estás filmando un comercial para una imagen de filtro de agua. ¿Cuál sería un buen escenario para usar como fondo? Piense en un lugar tranquilo y relajante con agua limpia y fresca. ¿No pueden ver que sería más efectivo un anuncio con el hermoso paisaje y los ríos que fluyen de un parque nacional que el agua que gotea de un grifo? Entonces, vamos a terminar las cosas hoy. Piense en la geografía de su mercado objetivo, el tipo de material de marketing que debe usar y la forma más efectiva de atraer al cliente para hacer una campaña publicitaria exitosa. Eso es todo lo que tengo para usted hoy. Asegúrese de leer el Capítulo ocho para el lunes si aún no lo ha hecho. De acuerdo, ahora me gustaría responder cualquier pregunta que puedan tener. En la prueba IELTS, ahora tendrá 10 minutos para transferir sus respuestas a una hoja de respuestas. 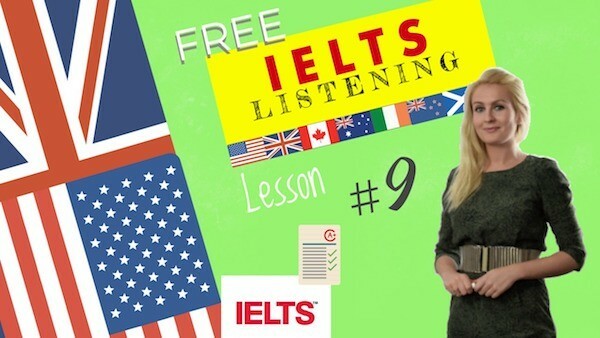 I hope that you enjoyed today’s ielts listening sample! Grammar refers to two main elements: morphology, study of word forms, and syntax, study of sentence structure. 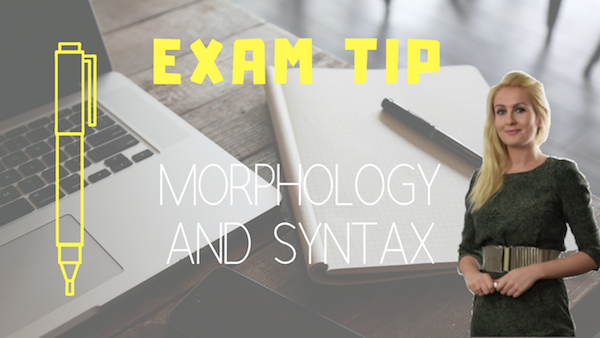 So far you have been encouraged to study the two main divisions of morphology which are word formation, including compounds and phrasal verbs, and grammar including conjugation and declination, inflections endings of words and affixes equals prefixes suffixes. Now let’s focus on syntax! Once you have learned more vocabulary and have reviewed all your grammar, putting this knowledge into coherent and complex sentences needs to become your priority. This will not only help you with your writing and speaking skills, but also your analytical skills for the reading and listening exam parts, as understanding internal structure will: Reveal the hierarchy in the ordering of elements. Explain how surface ambiguities come about. declarative, closed interrogative, open interrogative, exclamative, imperative. There are eight: adjective, adverb, conjunction, determiner, noun, preposition, pronoun, verb. adjective phrases (rather late), adverb phrases (too late), and preposition phrases (in the garden). Recommended Grammar Videos for IELTS listening sample help.